Web and mobile application that helps the customers to see menus and order take out directly from the website. Both mobile and web application integrates with the Google map for the easy searching for the customers and drivers. More customers are attracted towards the restaurants via maps. Users can order their food using website, Android and iPhone applications from FoodGo App. User front end, restaurant panel and admin panel comes with responsive design, where specific user roles can access their account on the different web and mobile browsers. Customers can view the full information of particular restaurant with restaurant name, photo, address, operating hours, etc.., It also has a menu, info and reviews section. Admin has the option to add or edit the rating and the users can rate the restaurants based on their opinion with FoodGo App. Users can favourite any restaurants and the favourite list will display the list of restaurants, that has been added as a favourite one and can the place orders quickly. There are users who prefer certain restaurant and certain dishes, in that case, they can favourite it and refer back to it for future orders. Users get the notification via email or SMS about the offers and deals of their restaurants. Benefits from the restaurants offer during occasions. 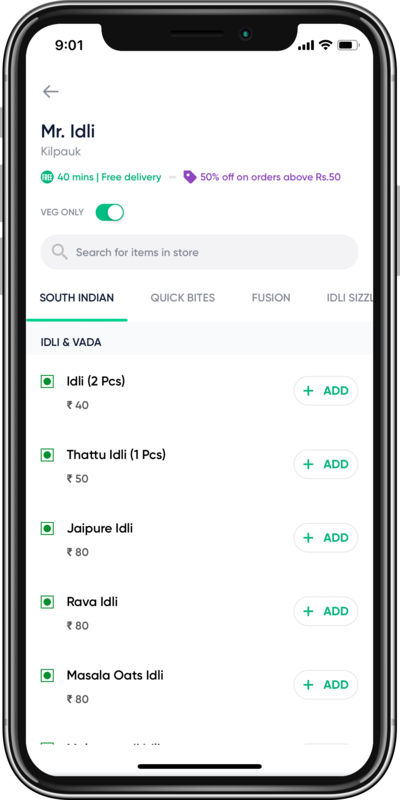 Users can place their order by choosing their favourite food from the menu by a single click in the order confirmation within FoodGo App. Users can give special instructions at the time of ordering the food, the instructions that are given by you will be viewed directly by the restaurants. Users can able to contact the driver/support executive by using phone, SMS and make it easy for both in FoodGo App. Displays the information of the jobs and the incomes, it also shows whether the amount has been credited to the account or not in Eat24 Clone. The Driver can go online or offline. The driver will receive the request when the status is online using Eat24 Clone. The driver can navigate to restaurant and the user location through in Eat24 Clone app navigation. Displays the information of the jobs and the incomes, it also shows whether the amount has been credited to the account or not. Driver can update their profile through Eat24 Clone app itself, by this way the driver information are kept updated. The Eat24 Clone application will dispatch the orders from the restaurant to the nearby drivers. By using this, the users are ensured with their food delivery on time. The restaurant can able to choose the category and add the food, base packs and add-ons. An important factor is that food item can be taken as a Eat24 Clone and reused for another item too. The restaurant can go offline or online, the restaurant will receive the order request when it is online. The users cannot book the food when the restaurant Eat24 Clone app is offline. Restaurants can avail offers to users such as offers based on the amount, item based offer, no delivery charges. The restaurant owners can view and update the order status as New orders, Confirmed orders, Order picked up, Delivered orders, Cancelled orders, Denied orders. Using this amazing feature the driver’s s current location can be easily tracked without any difficulties using Eat24 Clone. The restaurant owner can view all the reviews and ratings from the different users for each delivery using Eat24 Clone. The templates which include email template, invoice template and it can be managed through Admin dashboard with Eat24 Clone. The Admin can view the earnings which include the total amount in the site, Driver earning, Restaurant earning and site earning using Eat24 Clone. Push notification is used for sending special instructions, notifications, coupon codes and offers to users. 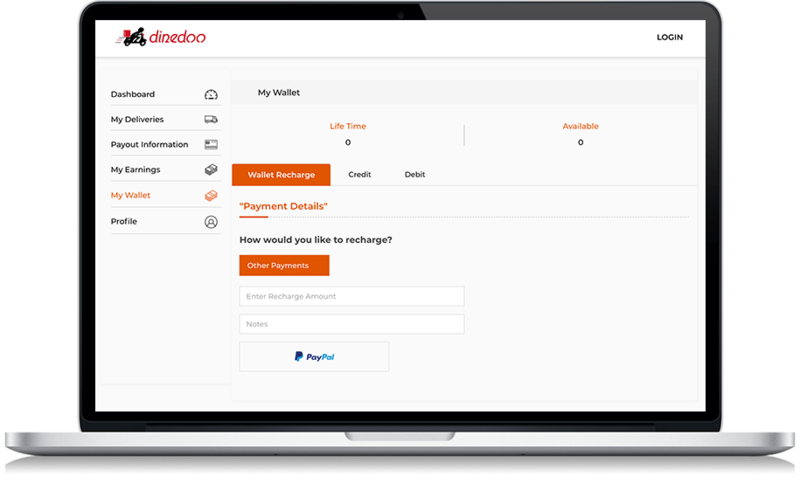 With the scalable settings available in our application, the admin can update the following: currency, time zone, price, commission, logo, SEO, SMTP, SMS, appearance, etc. Admin can create sub-admins to manage the business. With this feature, the admin can restrict the access to different modules in our admin panel for sub-admins. In the present era, mobile apps play an important role in each and everyone’s life. It has become an essential one for the enterprises and the immediate access to the service is easier one by this mobile application. In the olden days, food order was not a possible one, the people used to go to restaurants and have their favourite food. But now due to the advancement of technology, food ordering has become an easier one and a list of options are available so that the folks can choose their favourite one and order through the app. The present generation likes to have delicious food at their home itself and also to avoid the waiting time preparation of food. Once, the supply boy uses to dictate a list of menu to the customers in order to place the food order. Now the mobile application has many made things easier in our lives and brought the world to our hands. The folks who are addicted first will look the basic things in the application as follows. Initially, they will scroll down the menu. Then they order the food instantly and book the reservation in seconds. Track down the delivery and check out the offers. One can also compare the menu with the other restaurants. The ordering of food can be done both on the website and also in the mobile. The payments can be done by any means like credit cards, debit cards, PayPal etc. The option of the promotional offers gives a specialized discount on the first food order, coupon code to get the discounts and also the referral codes helps to get the bonus point are the other ways to attract the customers and engage with the app most of the time. For any business the consumers are everything. So it is important to treat the loyal customers and make them in a special way. At first, it is important to create a loyalty coupon program. Eat24 is a world famous one which has relationships with about twenty thousand restaurants in thousand five hundred US cities which is connected into Yelp’s network. This main integration helps the customers to see menus and order take out directly from the website. In Future, Eat24 will increase the user experience with an easy to use product and service that allows the customers to transact directly with the business. The process of both pre-ordering and re-ordering both are easier one here. It supports all kind of services such as live chat, email, and phone support which is about twenty-four hours per day and every day. A service which is about hundred percent free and an intuitive mobile site is available here. The Cash back option for the future order purposes is available through the cash coupon. The exclusive offers and the content are available through the Eat24 VIP Program. The most important things needed for this app is that camera Permission. This feature is a one which allows a person to scan the credit card to pay the bills in order to access the camera. It also won’t take any photos unless that person requests to it. With the details of the Accounts, Permission one can send the important information about the order, coupons and the exclusive deals. The most important one is credentialed Permission, where Google needs the respective permission to use the sign-in with Google feature. With the help of the search box, the user can discover the local restaurants. Then the app shows a list of restaurant. The delivery is possible any places including the office address or the campus areas. At the initial point, browse the food delivery and list about the restaurant menus, read reviews. And if any coupons and discounts are available then just make use of it. One can also choose a restaurant according to the menu such as Pizza, Chinese food, Thai food including the Mexican food with the aid of available information such as rating or the reviews left by the old customers. Then finally, view the menu, choose the tasty items and then place the order in online. The service is completely a free one. This food clone is much better than that of the ordering over the phone. A list of attractive features is available in this amazing Eat24 Clone app. With the aid of the available reviews, highlights, business pictures one can choose the perfect place. The Android Pay is available at any time at the checkout for the simple and at the same time for the faster payment. The well-worked algorithm analyzes the most ordered menu items, popular favourites, local tips and the user reviews. One can also use the filters to sort by distance, newest, top rated, both delivery and pickup and more. The option of the healthy filter helps a person to concentrate on the more items. It is important to make note of the delivery time or take out near of all the hours of the day and night time and also entirely user customisable one. It is better to scan all the credit card details and securely store the information. If the user is not interested in the credit card details then one can pay for the food with the PayPal or Android pay, which is the most convenient one. One can also search for the specific cuisines, restaurants including the dishes such as pizza, Indian food items, sushi, Burgers, Thai and more. During the festival seasons there will be more traffic and hence the web pages will be loaded slower. In order to avoid these problems, one can also advance the food items in advance so that everything goes in a smoother way. It also helps the folks to save the favourite restaurants and orders for the flexible re-ordering. The live support is available at any time and any day. Dreaming to start a new business in this amazing field? If your long term goal is to start a business similar to that of the FoodGo App, then you need not worry. You are at the right place to accomplish your dreams. FoodGo offers you a clone script of Eat24 through which you can start a complete food delivery service of your own and our clone script is filled with the amazing features which you can view the details on the website too. Lists of cool features are given below and you can take the correct decision. The user can access the mobile application for the food ordering process through their hand held devices because of it; the people can access the service in an efficient manner. The Mobile apps are interconnected with the social media sites Facebook, Twitter etc. The person can search the restaurants with the help of the available option of location and make the process in a better way. On the other side of the flip, Cart function is available to handle multiple items of the same restaurants. Once the acknowledgment is received to the customer’s mobile, and then he/she can track the location of the product with the help of maps. The Restaurant menu will be listed based on the food categories. 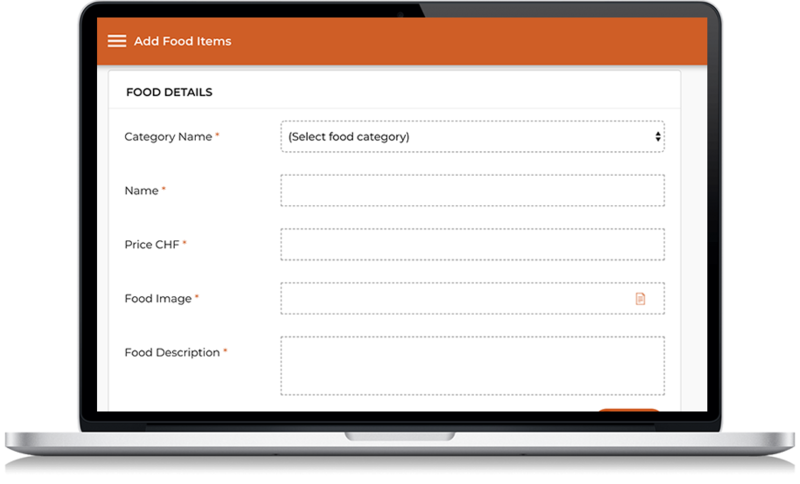 Search filters option can be used to filter the food items available and the cost range can also be filtered from the lower one to the higher one. The customer can give the review and ratings so that it will be useful for the new customers before placing an order. This is the most important option where the customers can give their opinion if they want to add extra flavours or to if they don’t want to add, then can make use of the option. The payment can be made through the options of PayPal and credit card. Hence, it is the user’s choice to choose an option according to their convenience. The coupon code and discount options are available so that the folks can make use of this option so that the cost will be reduced. Based on the location, the restaurants or the admin can add a new offer based on the particular location. If the customer does not to wish to accept the offer, then he/she can remove the offer. The user can also cancel the order by just giving the reason for the cancellation and the money will be refunded to their account automatically without any delay. © Copyright 2019 Zoplay. Certified Business. All rights reserved. Thank you for contacting us. Our representative will reach you shortly.